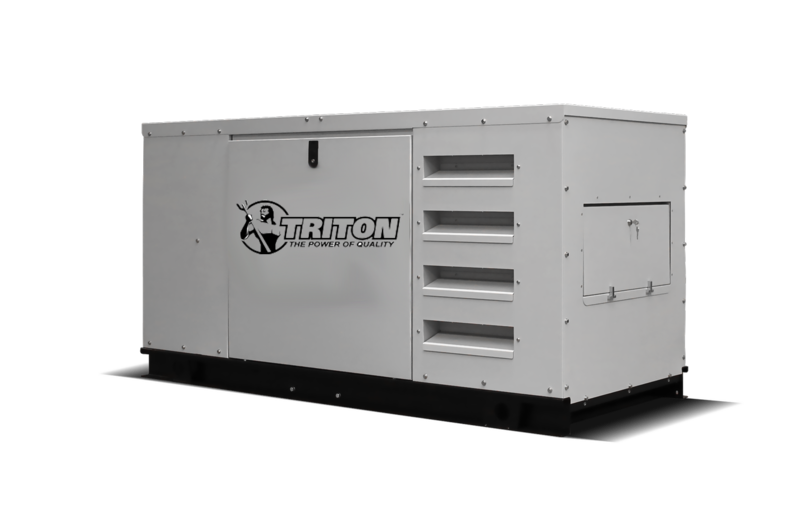 Triton digital controller with auto and manual start capability. Digital readout for: volts between each phase & neutral, volts between phases, amps per phase, frequency, kW and kVA power, power factor, KW hour with accumulation by day, month and year, fuel reserve, oil pressure, coolant temperature, battery volts and charging alternator volts, engine speed, hours running. Engine alarms for high coolant temperature, low oil pressure, emergency stop activated, battery charging failure, low coolant level, low fuel level, over-speed, under-speed and low battery volts.